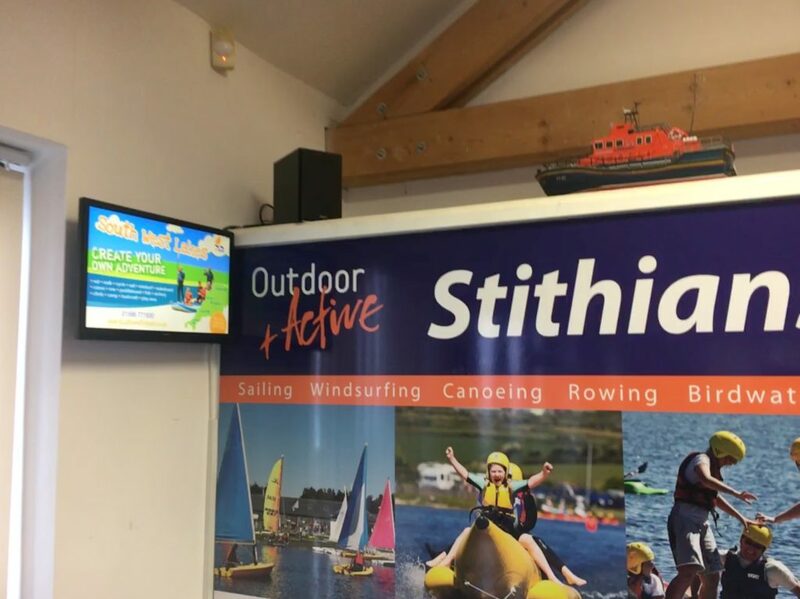 Stithians Lake has a very vibrant and busy watersports centre, within the centre there is a cafe. The cafe overlooks the lake and is conveniently placed for users on and off the water. The advertising screen is 24″ and is located in the cafe area.